← A Charming Holiday Festival Welcomes Sinterklaas To Historic Rhinbeck! There is perhaps no better author of Christmas tales than Charles Dickens. He is most known for his classic “A Christmas Carol”, and throughout the country festival organizers put on “Dickens Christmas” festivals. Skaneateles is one in New York. 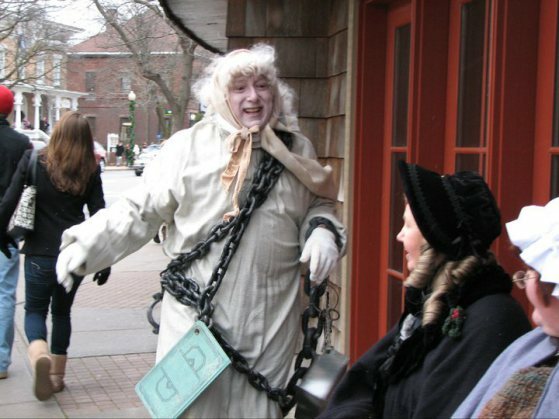 Skaneateles Dickens Christmas runs weekends beginning Nov. 23 through Dec. 24. It starts with “The World’s Smallest Christmas Parade” at noon the day after Thanksgiving. Then, it’s a month of Dickensian celebration, with period costumes, themed activities and plenty of events for all to enjoy. Charles Dickens and his cast of over 50 characters will interact with residents and visitors in the streets, stores and restaurants. Don’t miss lively acts at the Library (and Mother Goose too! ), live music, unique shopping, wonderful food and carriage rides around the Village. Time: First parade kicks off at noon Nov. 23; Noon-4 p.m. on Saturdays and Sundays through Dec. 24. 'It Feels Like London' at the Dickens Christmas in Skaneateles [VIDEO, PHOTOS]In "Christmas Festivals"
Skaneateles Dickens Festival Set to Light Up Holiday Weekends!In "Onondaga County"
Dickens Festival Takes Over Port Jefferson Village for 17th YearIn "Christmas Festivals"
This entry was posted in Christmas Festivals, Festivals, Onondaga County and tagged Charles Dickens, Christmas, Skaneateles. Bookmark the permalink.